Hereâ€™s a great post from Marc Pitman, akaÂ The Fundraising Coach.Â Today, Marc offers timely advice about raising money in a challenging economic time. Marc is a great friend of Step by Step Fundraising.Â I hope you take the opportunity to get to know him as we have. Oh, if you are inclined to Tweet, you can followÂ @marcapitman.Â Thanks, Marc! Turn on any news show and youâ€™ll hear analysts and pundits forecasting economic doom and gloom. Their reports are filled with words and phrases like â€œeconomic downturn,â€ â€œsoft economy,â€ and the dreaded â€œrecession.â€ While the jury is still out about whether or not weâ€™re really in a recession, now is a great time to recession-proof your fundraising effort. Weak economies can be very helpful for nonprofits. During such times, organizations are forced to be leaner and more efficient. When the economy rebounds, theyâ€™re in a much better position to take advantage of it. But economic downturns can also be perilous times for nonprofits. When faced with a recession, many nonprofits make bad choices that limit their growth. Some of these mistakes can prove fatal. Whether we like it or not, asking for money costs money. When youâ€™re looking for budgets to trim, costly mailings and fundraising activities will seem like obvious opportunities. But exercise extreme caution. Most fundraising efforts can be tweaked to improve their effectiveness. These tweaks can either reduce cost or increase money raised. But Iâ€™ve never seen a fundraising effort raise more money by being eliminated. In a recent study I did, I discovered our organizationâ€™s direct mail program raised more money during the years we sent out more letters. This was counter-intuitive to me. Iâ€™d worked for a couple years to eliminate mailings and focus exclusively on the people deemed most likely to make a gift. But in that time, our annual fund dropped by around 30%! This year weâ€™ve increased our mailings and have already raised as much in six months as we did the entire previous year. Spending less on fundraising can become a self-fulfilling prophecy. Less investment can result in less being raised which leads to further cuts and even less raised. Tighten budgets where necessary but be very careful when making cuts to fundraising programs. The top fundraising professionals are some of the most optimistic people alive. The minute they start being gloomy, people begin holding on to their wallets. Ever wonder why the stock market drops when pundits prophesy uncertainty? No one wants to invest in a questionable deal. Itâ€™s the same with fundraising. As development professionals, weâ€™re inviting people to invest in our mission. Our cause makes the world a better place regardless of the economy! Thatâ€™s not going to change. We need to continue to shed light on the good things happening around us. We donâ€™t need to be Pollyanna, but we do need to continue to see the silver lining. When we keep hearing how bad things are, itâ€™s easy to get awkward about asking for donations. Timidity is a sure-fire way to not raise money. We need to continue getting out from behind our desks and inviting donors to give. Iâ€™m certainly not advocating being brash or arrogant. We do need to understand that many of our donors may not be able to give at the same level. This is where we can be compassionate and understanding. And our relaxed understanding of peopleâ€™s financial realities can make them even stronger proponents of our organizations in the future. But thereâ€™s nothing compassionate about not asking. continue to compassionately raise support. Combine these ingredients and you have an excellent recipe for strengthening your nonprofit independent of the economy! 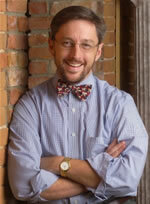 Marc A. Pitman, CFCC is the author ofÂ Ask Without Fear!Â and the founder ofÂ FundraisingCoach.com. He specializes in helping fundraising executives reconnect with their passion. An executive coach to nonprofit leaders, Marc is an expert in helping people identify their natural abilities and providing down-to-earth information that will decrease stress and put the â€œfunâ€ back into fundraising! To get a complimentary copy of Marcâ€™s e-book on how he helped raise $100,000 with e-mail solicitation, sign up for his free bi-weekly ezine at:Â http://fundraisingcoach.com.